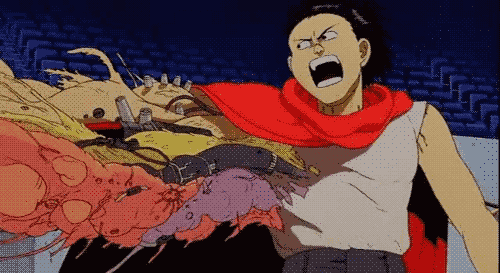 Tetsuo reminds us that projects allowed to grow out of control often become difficult to manage. There are a few problems with this approach. As your project grows, this list of files will become cumbersome and unwieldy. It will always be a pain for your developers to open the index.html file to add any new files to the architecture, and there’s no easy way to tell which files depend on which other files, which becomes especially onerous if you need to load the files in a specific order to make sure that the files that depend on certain other files are loaded after those files they are dependent upon. Finally, once your webapp is ready for production, you are probably going to want to run all these files through a minifier anyway, at which point you’ll need to edit the index.html file to load only the minified version of the app rather than all the resource files separately. Don't let this happen to your project. The sample code shows that at the top of each module, you’re telling RequireJS which other modules you’re dependent upon (if any) after which you provide a callback function that gets called by RequireJS when those modules are loaded and ready. The API populated by each module is handed back to that callback function as a parameter. At the bottom of each module, unless the module is a top-level module wrapped in a ‘require’ call rather than a ‘define’ call, the module specifies its API as the return value. That value is what is passed along as a parameter to the callback functions of any other module depending on it. RequireJS is extremely flexible in terms of how you define exactly what your module makes available to users of that module. 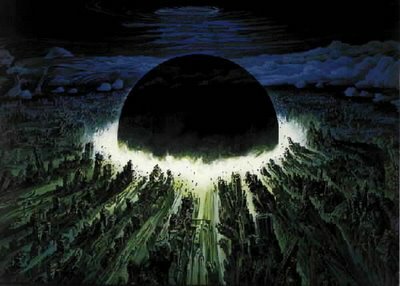 In the example above, ‘dependencyA’ makes an anonymous object available to anyone who requires the module. ‘dependencyB’ uses that anonymous object from dependencyA and simply provides a number (unusual, but allowed) for any other code that would like to use the ‘dependencyB’ module. The top-level webapp code then uses an alert to display the result of the calculations of the dependencies. So far I’ve been very happy with how easy it has been to migrate my project to using RequireJS as a dependency management system. At first the idea of having each module return an explicit API for itself at the end of the ‘define’ call felt a little awkward, but with a little thinking through, it wasn’t hard to adapt the RequireJS structure to a couple different design patterns I was already using pretty cleanly. // object as the API to the module. // the singleton object back directly. Beyond these two patterns which lend themselves to my personal style of coding, as shown in the first examples, you are free to use whatever other module API mechanism you’d prefer to provide. One downside of this flexible design is that it requires the code that uses the module to know more about the type of API being returned to it to use. If the caller of the system module above tried to use it in the same way as the rectangle module, or vice versa, unintended behavior would happen. This is A Bad Thing, but arguably the tradeoff of the flexibility of the type of API a module can provide is worth it. I have just begun using RequireJS in my own code, so I may uncover some more learnings in this space as I move forward in my use of the library. If so, I’ll be sure to update the blog with what I learn. For now, I can say that RequireJS seems to be a very solid choice for dependency management and I encourage others to explore it. Good luck in your projects!